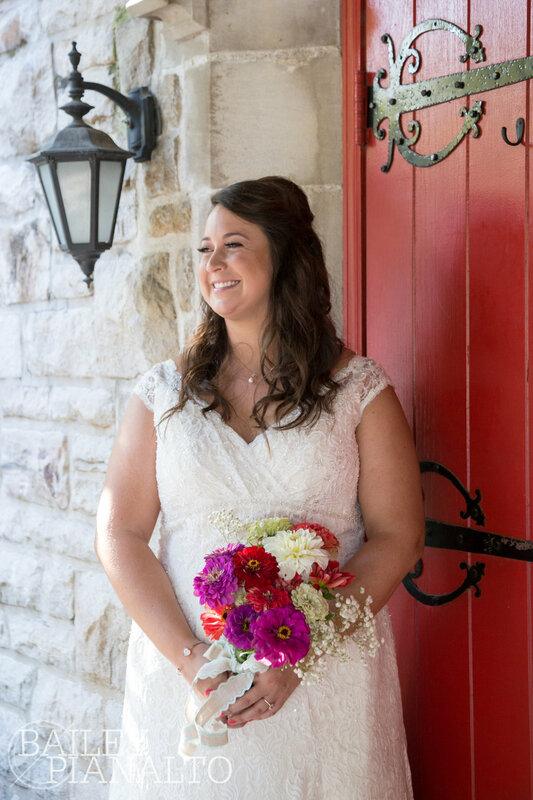 Now that this beautiful bride is finally married, I can post her bridal photos!! 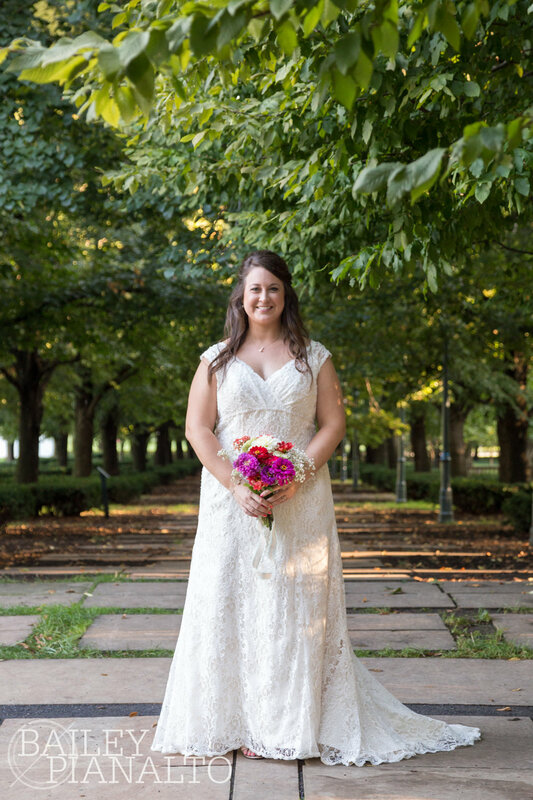 You may recognized this bride from her engagement photos that I took earlier this year. Where is her groom, you might ask? Not here! 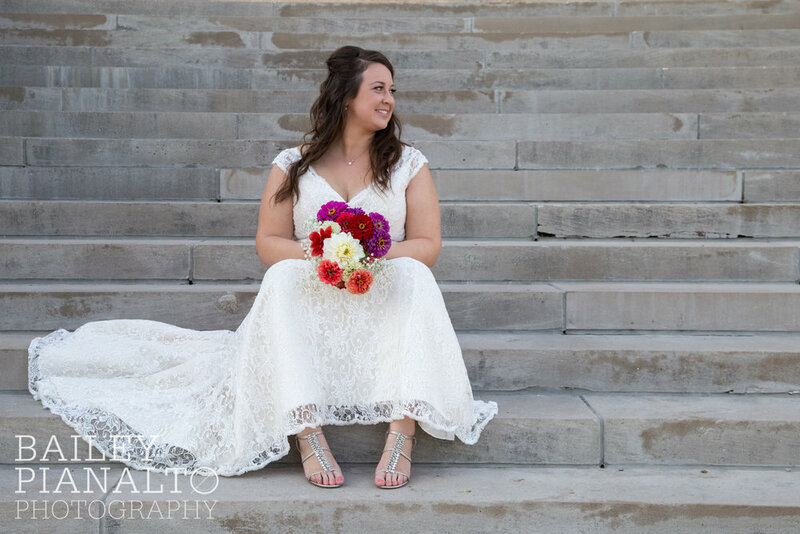 Traditional bridal portraits are taken before the wedding, with just the bride. It's a great way to test out your hair and makeup before the big day and wear your dress multiple times! The hours leading up to this bridal portrait shoot were a bit dicey. We've had an oddly rainy summer and it - of course - rained the morning of this shoot. The last thing I wanted to do was ruin a bride's dress before their wedding day, so after the rain died down I drove out to our selected locations to check the conditions. No puddles shall touch this dress! Thankfully, we had minimal puddles at the time of the shoot and all was well! 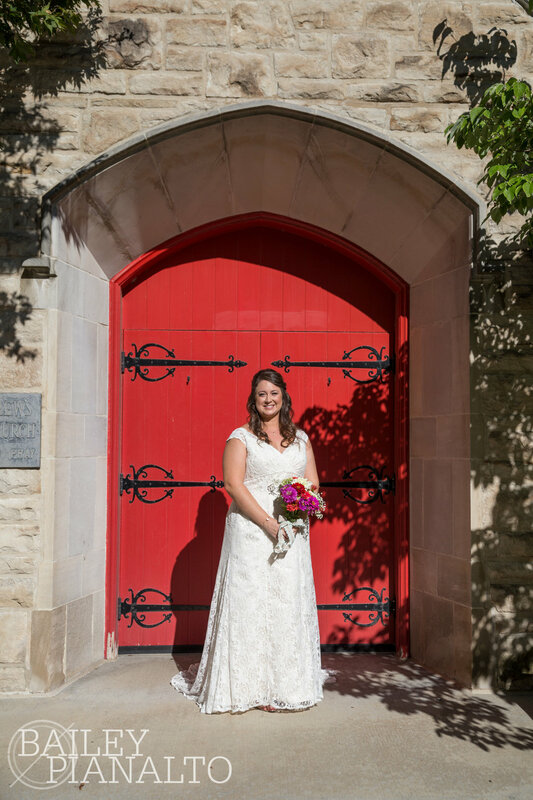 We began our shoot at St. Andrew's Episcopal Church purely for its beautiful architecture and red doors. As we started our shoot the clouds parted and the sun came out! We were all set. Our next location was The Nelson-Atkins Museum of Art. I absolutely love shooting here! Between the varied architectural details and the beautiful open lawns you've got just about everything you need all in one place. Katherine did an absolutely phenomenal job - as always :) She's so fun and easygoing and willing to try just about anything! 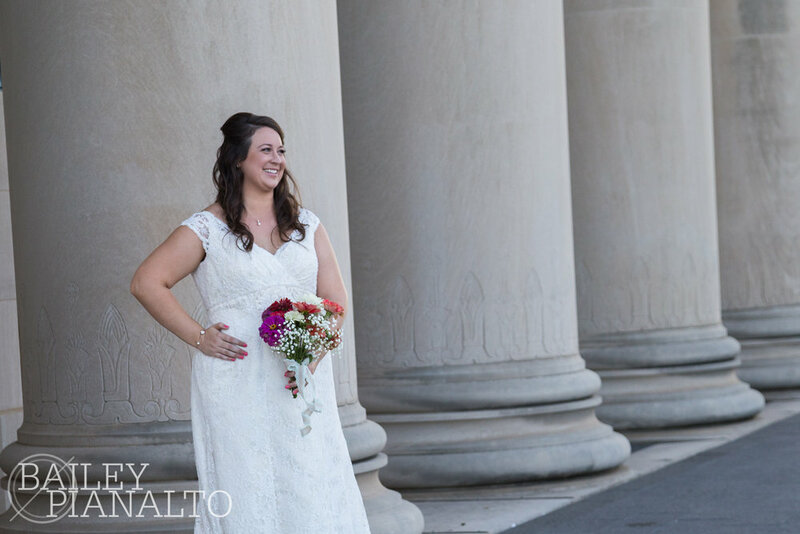 Congratulations again to Mr. & Mrs. Maloney!